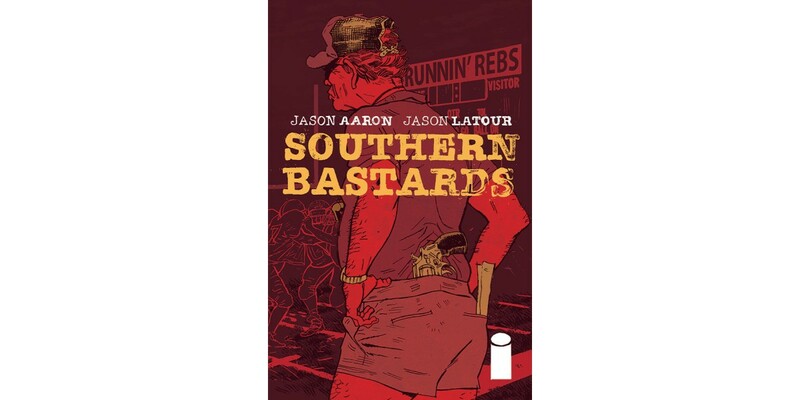 The second issue of the hit Image Comics southern crime series SOUTHERN BASTARDS, written by Jason Aaron (Scalped, Wolverine & The X-Men, Thor: God of Thunder) and drawn by Jason Latour (​Loose Ends, Wolverine & The X-Men, Django Unchained), has sold out instantly at the distributor level. In SOUTHERN BASTARDS #2, it’s Friday night in Craw County, Alabama, and that means it's time for some football. Coach Euless Boss walks up and down the sidelines like an angry god, directing his boys to another win, when trouble comes calling: an angry Earl Tubb. The problem is, Euless Boss runs Craw County, and somebody is fixin’ to die. "Exactly the kind of pulp goodness I live for." SOUTHERN BASTARDS #2 has completely sold out at the distributor level, but may still be available in comic stores. It is currently available digitally on the Image Comics website (imagecomics.com) and the official Image Comics iOS app, as well as on Comixology on the web (comixology.com), iOS, Android, and Google Play. Image Comics is pleased to announce that the second issue will be going back to print to meet customer demand. The second printing of SOUTHERN BASTARDS #2 (Diamond Code APR148350) will release on 6/25. SOUTHERN BASTARDS #3 will release on 6/25 and can be pre-ordered with Diamond Code APR140600.